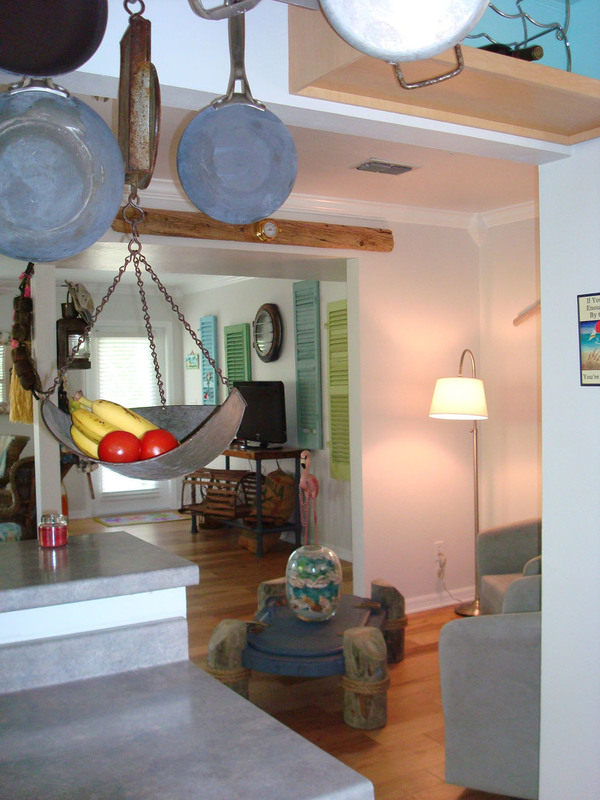 This charming beach cottage on a Southwest Florida barrier island was ready for a major renovation...inside and outdoor spaces. It was time to replace the flat roof, add a walkout for views of the water, move some walls and expand the kitchen, replace carpet with hardwood floors, change paint colors from tropical to cottage calm and soothing, expand outdoor decking and screened porch. 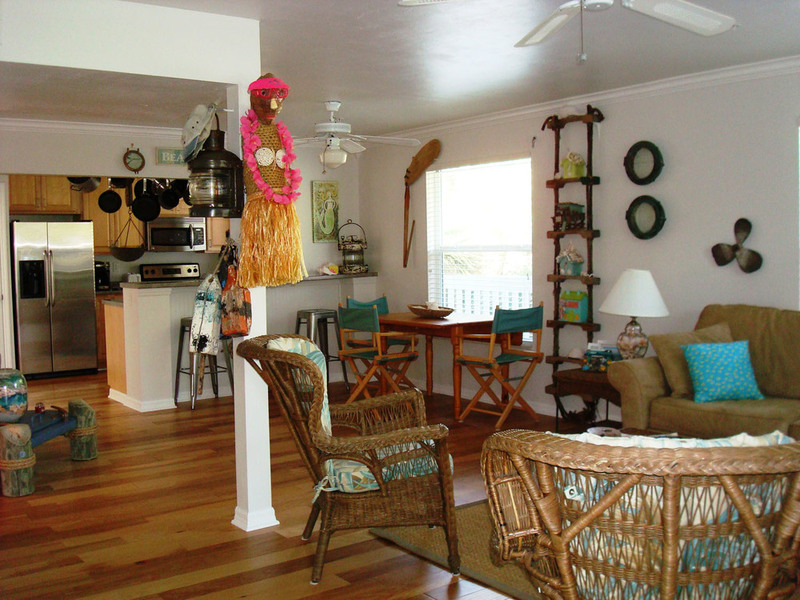 An open look was the goal for this beach cottage. 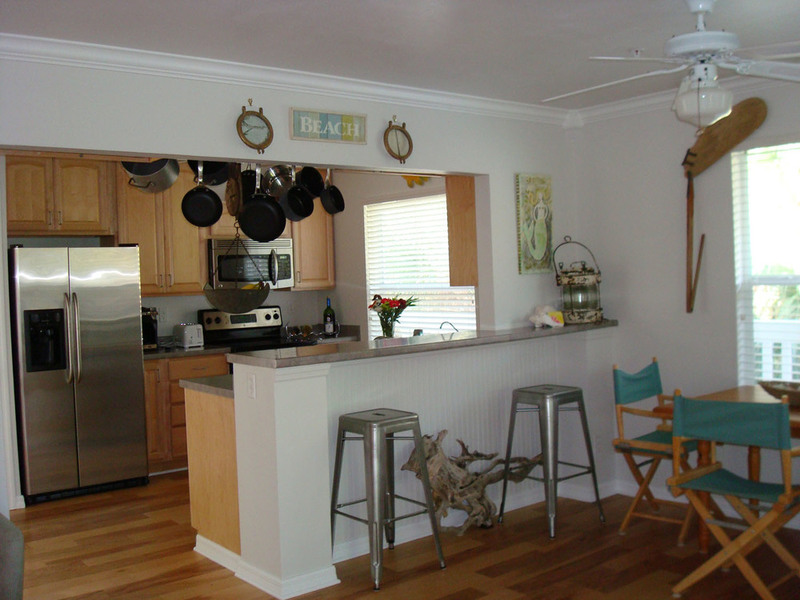 After 12 years, the owners wanted a more open and expanded space with a new kitchen as the focal point. They were willing to move walls and make changes that would have a big impact. Replaced carpet with hickory flooring. Added sisal rug under coffee table to pull seating area together. 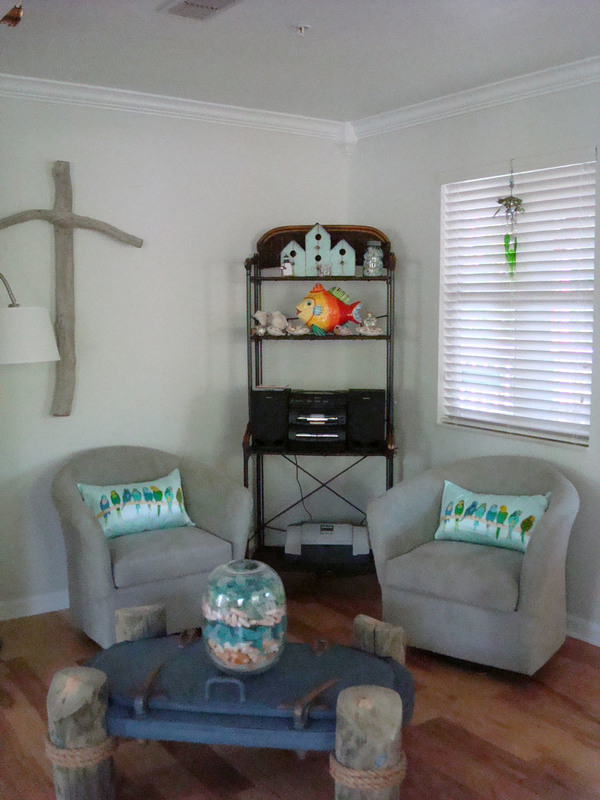 Replaced the turquoise walls with a beautiful Benjamin Moore Silver Satin (OC 26) giving the room an old Florida beach house feel. Replaced brown wood blinds with crisp white. Purchased a new couch with colorful throw pillows. 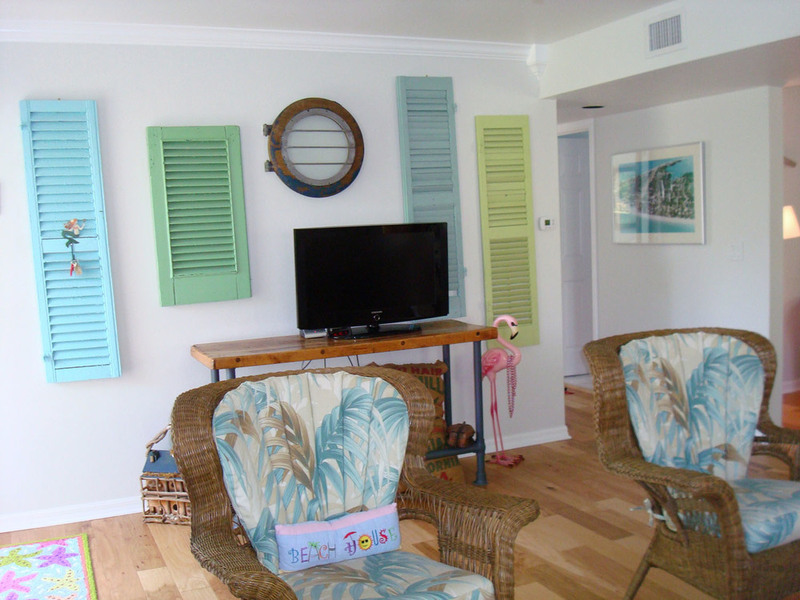 Repainted shutters (found at flea market) cool and calm blue/greens. 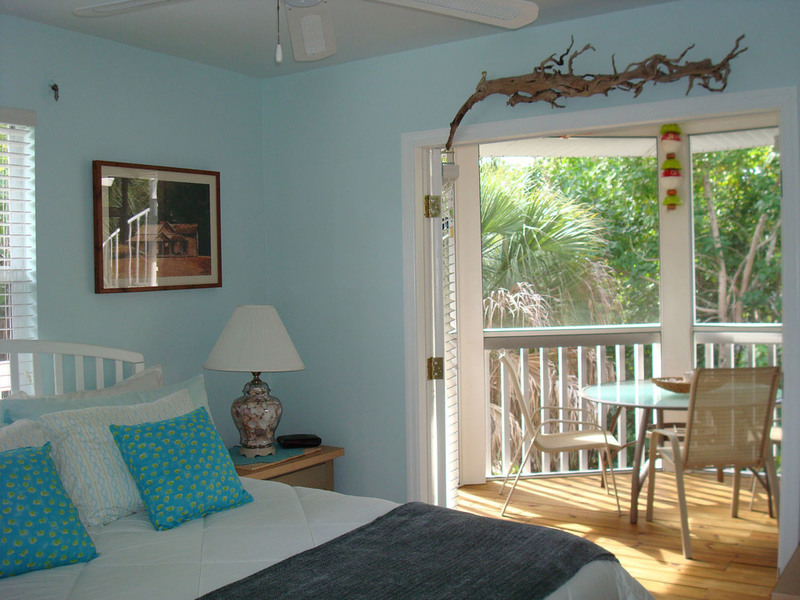 Eliminated sliders and installed French doors that go out to an expanded screened porch surrounded by a palm forest. Removed carpeting and installed hickory flooring. 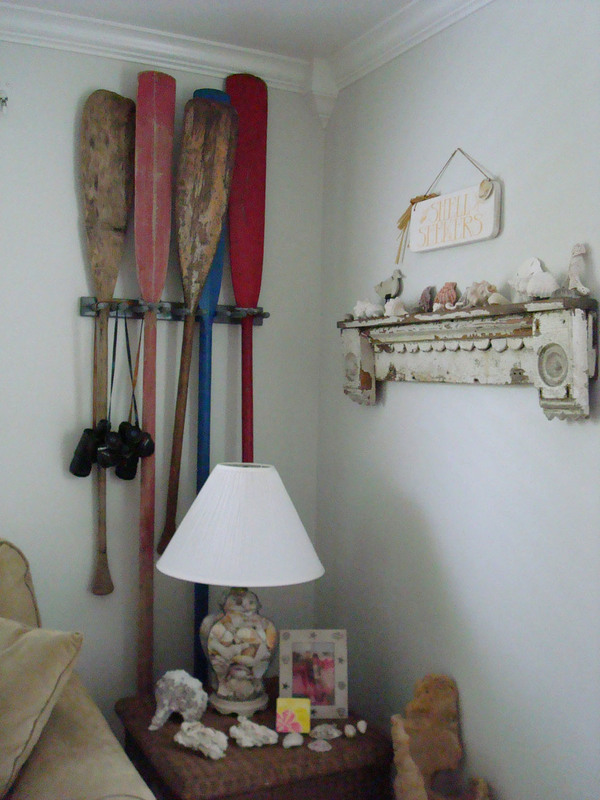 Changed wall color using Benjamin Moore Sweet Dreams (847) and trimmed in Benjamin Moore Super White. 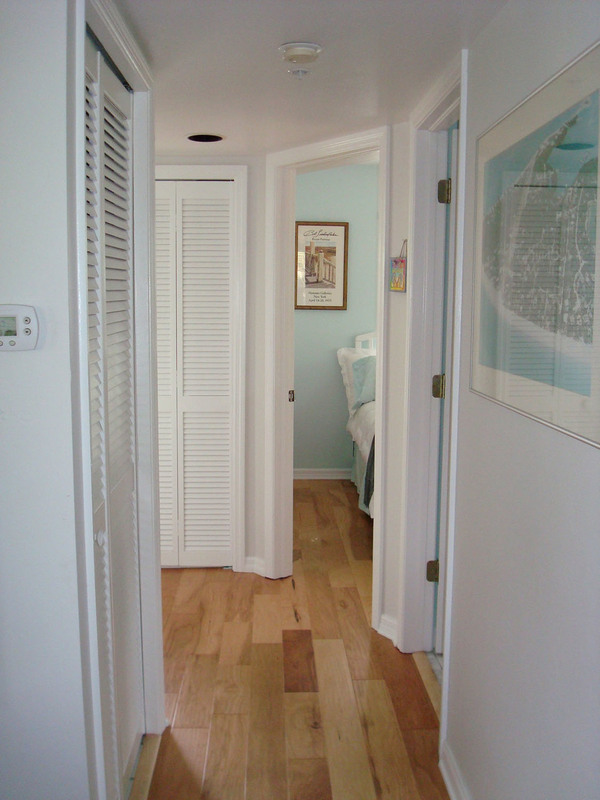 Removed brown wooden blinds and replaced with white blinds. 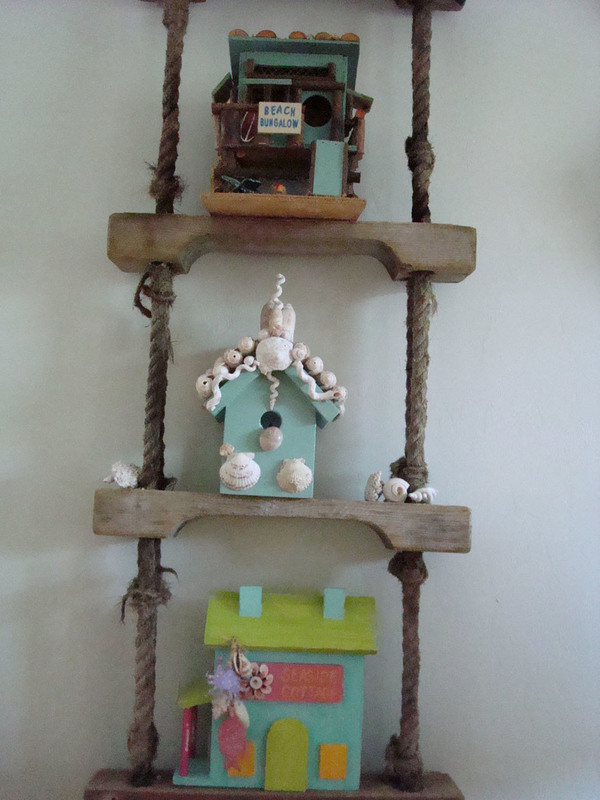 Added new artwork, including a prized piece of driftwood found on the beach of this island getaway. Refreshed home with an new outdoor space that is like adding another living room and has completely opened up the flow of the cottage. 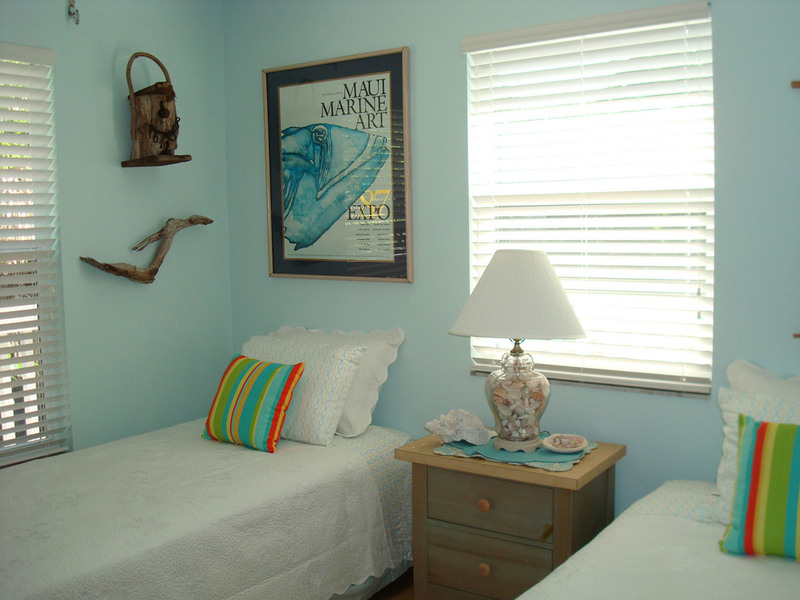 A "new" old Florida beach house feel without spending a fortune! The small porch at this beach house was great. The owners spent a lot of time here. It was pretty and functional. But small. Renovating the cottage offered an opportunity to expand this area to make it even more functional and roomy for having friends over. It also had to be simple and uncluttered. Expanded porch across back of the house to extend living area. Added French doors to open onto porch from master bedroom and kitchen. Added new table and chairs. Very livable and comfortable porch. This outdoor space is like adding another living room and has completely opened up the flow of the cottage with French doors leading from the bedroom and kitchen/dining areas.